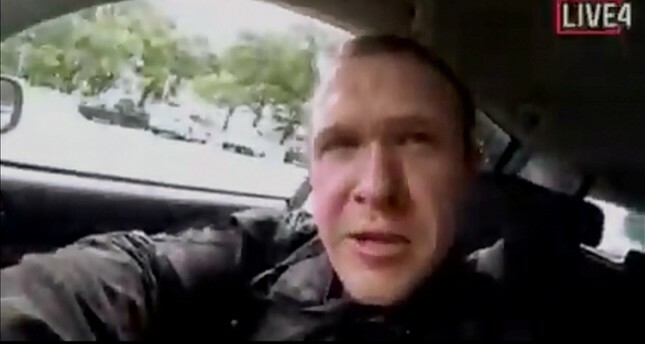 As nearly 50 people perished in a heinous terror attack targeting two mosques in Christchurch, New Zealand, a document left behind by the assailant showed the attack was motivated by deep-rooted anti-Muslim and xenophobic sentiment often targeting Turks in Europe. An anonymous post shared Friday on discussion site 8chan, known for a wide range of content including hate speech, said the writer was going to "carry out an attack against the invaders", and included links to a Facebook live stream, in which the Friday shooting appeared accompanied by a manifesto. The 78-page manifesto cited "white genocide", a term typically used by racist groups to refer to immigration and the growth of minority populations, as his motivation. Australian citizen Brenton Tarrant, 28, has widely been cited as the assailant of the attack. The manifesto has a part titled "to turks," [sic] in which the writer threatens to kill all Turks living on the European side of Turkey and elsewhere in Europe. The text defines the area where Turks would be allowed to live peacefully as the "east side of the Bosporus." "We are coming for Constantinople and we will destroy every mosque and minaret in the city. The Hagia Sophia will be free of minarets and Constantinople will be rightfully christian [sic] owned once more," the text continues. President Recep Tayyip Erdoğan is also attacked in the manifesto which argues that he should be killed while on a visit to the Turkish community in Europe, which the assailant called "his ethnic soldiers currently occupying Europe" in the hate-filled text. The text also says that Erdoğan's death will serve to drive a wedge "between the Turk invaders currently occupying our lands and the ethnic European people simultaneously weakening Turkeys [sic] hold on the region, removing a prime enemy of Russia and destabilizing and fracturing NATO." In a part titled "Europe for Europeans," the manifesto vows to remove all "invaders" from Europe, regardless of whether they are "Roma, African, Indian, Turkish, Semitic or other." The manifesto argues that NATO should be turned into a European army and Turkey, the second largest military in the alliance and one of the earliest members since 1949, should be pushed "once more back to the true position of a foreign, enemy force."